“The PlanItGreen: Solar in Your Community initiative will lay the groundwork for a future utility-scale project toward meeting our renewable energy goal targets,” says Gary Cuneen, Executive Director of Seven Generations Ahead which provides leadership for this project. PlanItGreen is the Environmental Sustainability initiative of Communityworks, an Endowment Fund of the Oak Park-River Forest Community Foundation. Community solar projects can be larger onsite projects that serve apartment complexes or institutions such as hospitals and nonprofits. Other community solar projects may be funded by a group of residents, but be located outside the town, where land is less expensive. For example, Oak Park and River Forest’s Interfaith Green Network is investigating the feasibility of banding together to support a new solar power installation. The solar installation may be located on rural lands, brownfields and industrial sites in Northern Illinois. The congregations will pay or “subscribe” to the provider based on their collective energy usage. The actual power from that particular solar array gets fed into the state’s electric grid. If enough groups make these kinds of investments, solar providers can expand so that more renewable energy feeds into our state’s electric grid. “Because a big percentage of Illinois’ electricity comes from coal-fired power plants, these kinds of investments in solar power are meaningful steps in reducing our state’s greenhouse gas emissions,” says Jim Babcock, Green Community Connections board member and co-chair for the Interfaith Green Network. The Interfaith Green Network is just one of a number of participating groups. Facilitated by Seven Generations Ahead, the PlanItGreen: Solar in Your Community team also includes the Oak Park River Forest Community Foundation, Village of Oak Park, Park District of Oak Park, Community Bank, the Community of Congregations, the River Forest Community Center and the Oak Park Residence Corp.
Several rooftop solar projects producing between 25 - 100 kilowatts of solar power. One community solar project up to two megawatts that provide energy for 20% low- and moderate-income residents and 60% non-profit subscribers. Exploration of municipal bundling for solar energy procurement. Laying the groundwork for linking Oak Park and River Forest customers to a utility-scale project after 2018. PlanItGreen: Solar in Your Community was created in response to the SunShot Prize: Solar in Your Community Challenge funded by the U.S. Department of Energy. 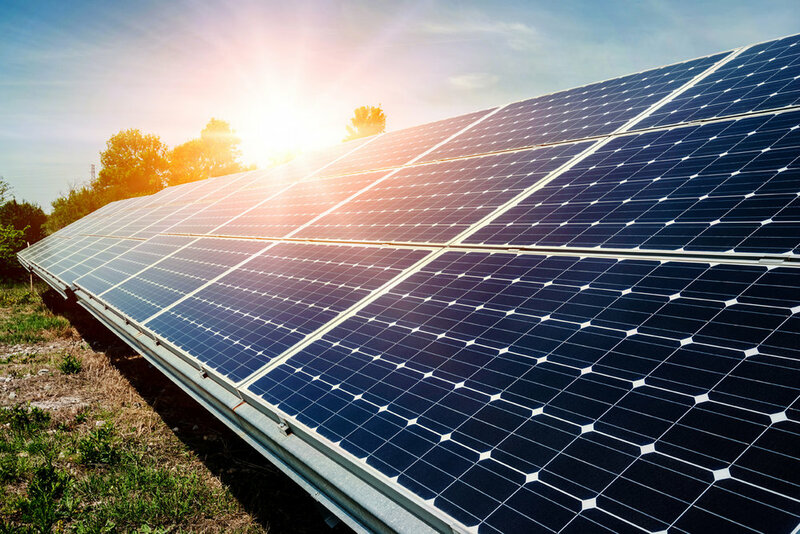 The agency is offering $5 million in cash prizes and technical assistance to community based programs that expand solar electricity access to low-and moderate-income households and community organizations. Participating project team innovations will be used as models to jumpstart other community solar projects across the country. Our local PlanItGreen: Solar in Your Community proposal is one of approximately 170 accepted proposals across the country. The team has access to federal technical assistance, in the form of a solar coach, to help our local team work toward its goals. $750 million for low-income communities to save money and help them benefit from clean energy. $180 million per year – growing to $220 million per year- in funding for renewable resources, including new wind power, large-scale solar power, and rooftop and community solar. A mandate to provide job training for thousands of new clean energy jobs in energy efficiency, energy innovation, and renewable power industries. The PlanItGreen: Solar in Your Community team will help low- and moderate-income households tap into incentives so they can access solar energy at reduced prices, whether through direct installations on their homes or through community solar projects. Talk to your faith leader; see if your house of worship is participating in the Interfaith Green Network Community Solar effort. If not, ask them to reach out to Mark Burger at burgermkop@gmail.com or Jim Babcock at jlbabck@sbcglobal.net. Look for forums and education programs in 2018 about community solar in the Villages, conducted in partnership with the Village of Oak Park and River Forest and surrounding communities.